. 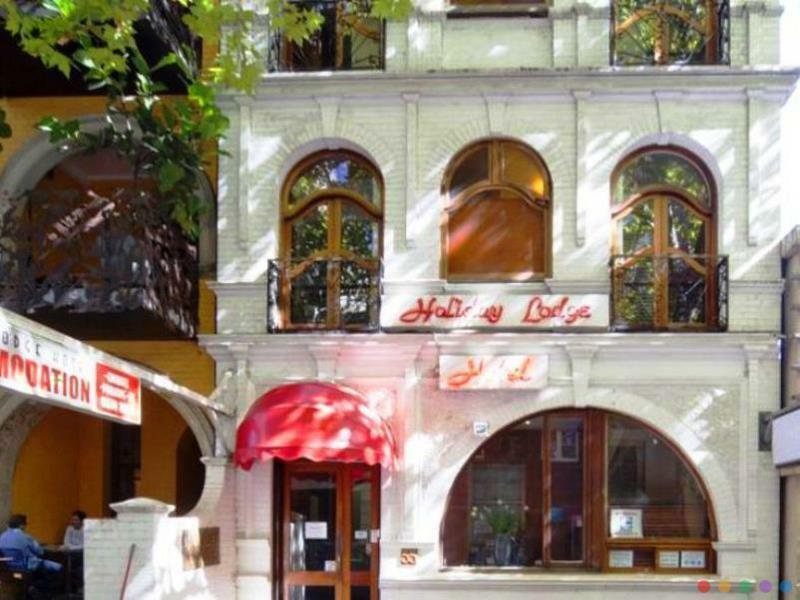 يقدم Holiday Lodge Hotel خدمات لا غبار عليها وكل أشكال اللياقة وحسن الضيافة اللازمة لإسعاد ضيوفه. يقدم الفندق فرصة للاستمتاع بشريحة واسعة من الخدمات بما فيها: تسجيل وصول/خروج سريع, تخزين الأمتعة, واي فاي في المناطق العامة, صف السيارات, التوصيل من وإلى المطار . بالإضافة لهذا,تتضمن كل غرف الضيوف مجموعة واسعة من وسائل الراحة . بعض الغرف توفر حتى سجاد, غرف لغير المدخنين, تدفئة, خدمة الإيقاظ, مكتب لإرضاء أكثر الضيوف تطلباً. يمكنك الاستمتاع بالأجواء المريحة التي تقدمها حديقة طوال النهار. يشكل Holiday Lodge Hotel بخدماته الراقية وموقعه الممتاز، قاعدة مثالية للاستمتاع بإقامتك في سيدني. مواصلات المطار متاحة من 05.45 AM إلى 07.45 PM. لتتمكن من حجزها يرجى إخبار العقار بتفاصيل وصولك مسبقاً عن طريق كتابة طلبك في حقل الطلبات الخاصة. تسجيل الدخول بين 03:00 بعد الظهر و 08:00 مساءً. الضيوف الذين سيصلون خارج هذا التوقيت يطلب منهم التواصل مع العقار مباشرة قبل الوصول لترتيب هذا الأمر. Please what ever you do, do not stay here. Spend the extra money on somewhere half decent. We are horrified by the attitude of staff and how dirty the place is. Guy on reception is a creep. The rooms were dirty with mould and broken window. A hotel location which is near to the city that is good value for money for budget travelers. Owner is friendly and flexible for late checkout. If travelling with elderly people, request for a room on the ground floor as the hotel does not have an elevator. Good location, but the hotel was too old!! There was not a elevator. So I had to carry my big suitcase into the second floor room by myself... They didn't room cleaning for five days. So, this hotel was the apartment rather than hotel. the hotel staff was not friendly at all. checking in early and unable to get in hotel have to wait for the offical time . lodging was worn out and surrouding area was not pleasant at all. First time to experience a simple set up hotel, it's old and needs some interior renovation. The big plus for the hotel is the location. By looking at their website, I thought they had a car park at the hotel. However, I was surprise that we had to buy parking ticket at $30 for each entry to the car park, and it took about 10-15 minutes to walk from the hotel to the car park, it's very inconvenient for our family with young kid and baby. It was really hard to find a car park around the hotel area. The beds made noise when we turned around. The bathroom is small and old. The staff was nice and friendly. The rate is acceptable compared to other similar type of room we took. Location is good. Easy access to public transport esp buses and trains. Easy to get food esp halal food. Near to convenience store EZmart and Woolworth. Microwave oven and full sized refrigerator really help us a lot during our stay. Overall it's a nice budget hotel. We enjoyed the walk from the hotel to the King Cross station. The area is convenient. It's quite near to tourism counter, many restaurants, supermarket, also easy to catch a bus. Just need to think before opening the room door to avoid mosquitoes. I've made poor hotel choices in my time but this is the first time I every walked out on a non-refundable 4-day stay!! The place was going on the AUCTION block the 3rd day of our stay so may no longer even accept reservations. It was noisy and in a terrible state of disrepair and neglect. waited 2.5 hours to check in!!! service poor. location is ok rooms are very tired and require a massive renovation i expect a lot better! no lift in building. The manager, Sally, went out of her way to help me with renting a car. She was great! The room was basic but well equipped with TV, fridge, microwave, kettle and crockery and cutlery. It was only a 30 minute walk to the harbor. There is a supermarket and restaurants close by. 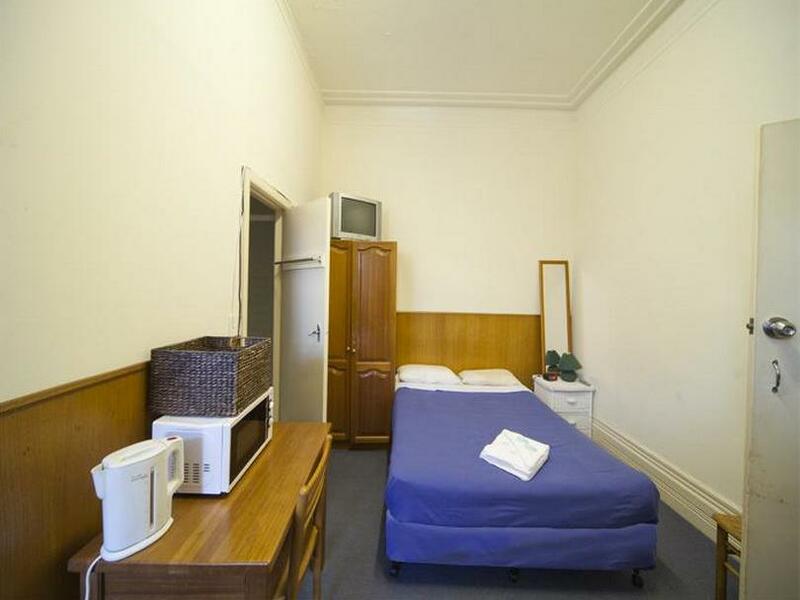 Perfect for a short stay in Sydney when on a budget. Hotel requires a refurbishment ASAP. This hotel is very old and run down. This place needs a total makeover. The room stunk of damp, the bathroom stunk of mould. Every thing in the room was old, stained and dirty, tiny 20y/o TV that did not work. No iron, hair dryer. Waited 15 minutes in rain while waiting for reception. Be aware"
I booked for a single ensuite but i ended up in the courtyard room with shared bathroom by many guests. My stay was not comfortable as I expected. Cackroaches crawling on my face while i was fast asleep. Didn't have a good sleep for my entire stay in this Hotel, It was a Horrble experience. Awful Smell, No Staff, Totally different from the photos! The worst hotel ever! Stay away from this hotel! Its not that cheap either! to stay in a garbage place is a very disgusting experience!! 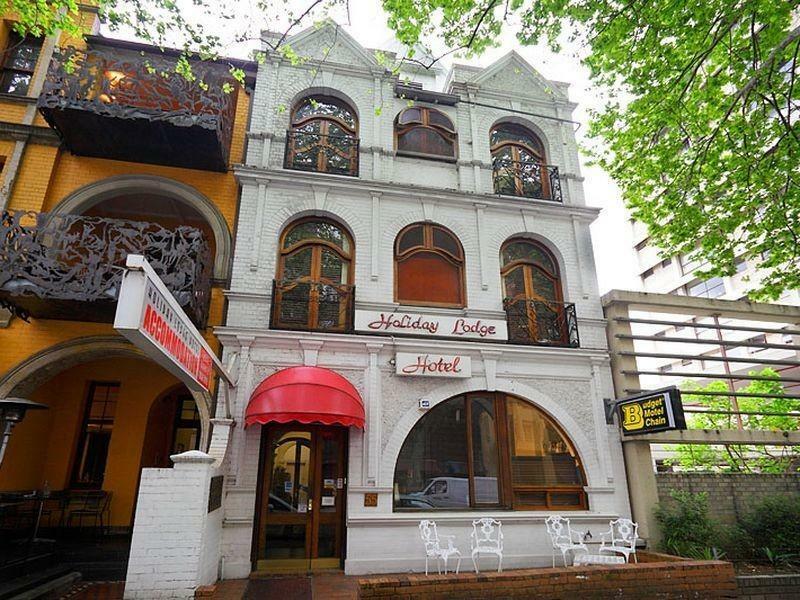 I rather stay in backpacker hotel which is I know I would expect to be a condition, The carpet smell , the toilet is not inside my room, its outside and can not be locked! the heater is not working!!! they put me in a room on the back of the hotel which mean i had to be soaked in rain before i can get to my room!! unbelievable!